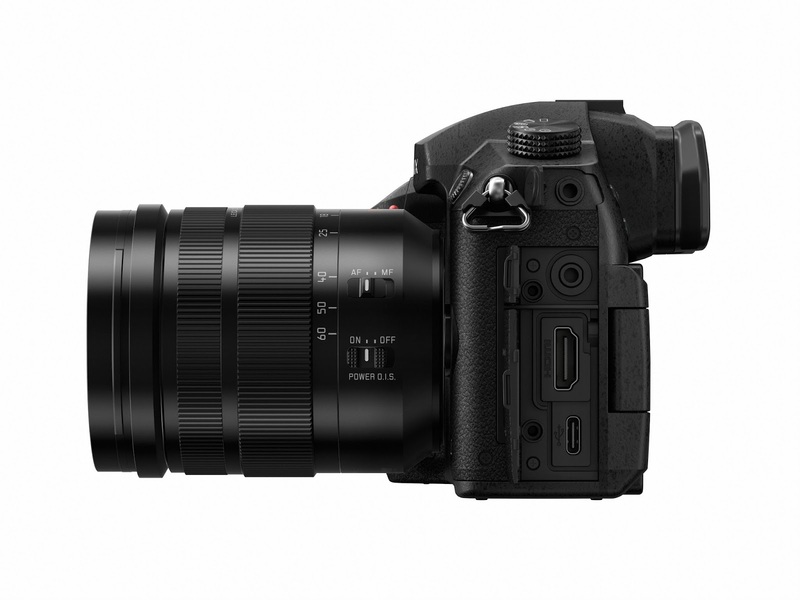 At CES 2017, Panasonic announced a new mirrorless micro four thirds compactsystem interchangeable lens camera in their Lumix G range – the Panasonic Lumix GH5; building on Panasonic's heritage of working closely with videographers to deliver exceptional video capable mirrorless cameras. The GH5 brings a number of improvements over its predecessor the GH4, so we've had a look at the differences between the GH4 vs GH5 in this review blog. Whereas the GH4 had a 16 megapixel micro four thirds Live MOS sensor, the GH5 now comes with a 20.3 megapixel Digital LIVE MOS Sensor, with 25% more pixels vs the GH4. This notable improvement in sensor size also gives the GH5 talents in the still image area that the GH4 didn't have. For example, the GH4 was capable of shooting 4K PHOTO - a 30fps, 5 second burst that you can save an 8 megapixel image from. However, in comparison, the GH5 now has the new 6K PHOTO mode, which lets you record a 30fps burst for 5 seconds and pull a 6K, 18 megapixel image from the burst file - we've written more about this feature in our 'What is 6K PHOTO?' blog. Additionally, 4K PHOTO has been improved in the GH5 to now shoot at 60fps, and Panasonic have also removed the low pass filter, which means you can capture finer detail vs the GH4. While both the GH5 and GH4 are capable of shooting 4K footage, there are a few key differences that make the GH5 stand out vs the GH4. The new GH5 now shoots broadcast quality 4:2:2 10-bit 4K video at 60p/50p for ultra high-definition, beautifully smooth video recorded internally into the Dual SD card slots for UHS-II cards. This improves on the GH4 that could only record 4K at up to 30fps. 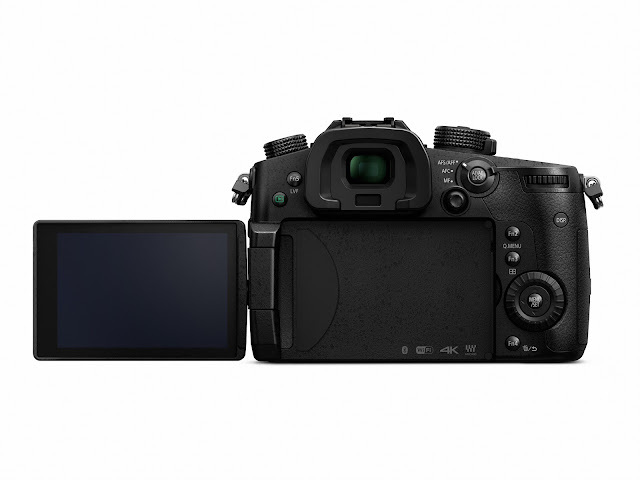 Additionally, the GH5 improves vs the GH4 by using its new high-sensitivity MOS Sensor and Venus Engine to effectively suppress rolling shutter distortion and realise high-speed readout of full digital signals. This also means that the GH5 has an unlimited recording time limited, which is a massive improvement vs the GH4's maximum of 220 minutes recording time. At launch, the Lumix GH5 won't have V-Log capability like the GH4 did, but there is a firmware update planned for 2017 that will introduce this into the camera. The GH4 was an exceptional camera for videographers - a dream camera, some called it - but with the introduction of 5-axis in-camera image stabilisation, the GH5 now stands out vs its predecessor. With the Lumix GH5, Panasonic have included their DFD (Depth from Defocus) system, which combines with improved Contrast AF technology to calculate the distance to the subject by evaluating two images with different sharpness levels, as well as analysing the form, size, and even motion of the subject. Alongside the hew Venus Engine, this new focus system in the GH5 gives a 6x faster time to measure the distance to the subject vs the GH4, while factorising the distance into in-plane or in-depth is 2x faster than the GH4. Compared to the GH4, the new GH5 has also increased the speed of the sensor drive during auto focusing in photo shooting mode, which means it now realises ultra-high-speed autofocus of approximately 0.05sec and 12fps (AFS) and 9fps (AFC) high-speed burst shoting using a mechanical shutter in full resolution. 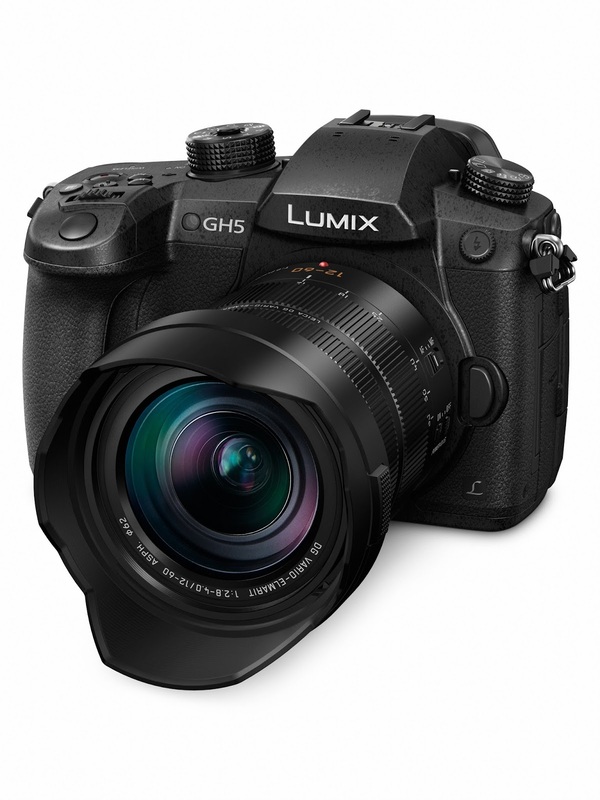 We've written more about the handling and body of the GH5 over on our First-Impressions of the Panasonic Lumix GH5 blog. However, while the GH4 was weather sealed, the GH5 has improved on this and now, alongside a magnesium alloy body and secure construction with sealing of every joint, dial and button, it makes the GH5 not only splash and dust proof, but also freeze-proof down to -10 degrees Celsius; an excellent improvement vs the GH4 which could only operate down to 0 degrees Celsius - this will be a welcome feature for professional use. The key differences in the Panasonic GH4 vs GH5 here are the output capability at 4K, the stills resolution at 6K, and the image stabilisation. Whereas the GH4 could only record 8bit 4K to the SD card and would have to output 10bit 4K to an external device, the GH5 is capable of recording broadcast quality 4:2:2 10bit 4K video onto the Dual SD cards at 60fps. The biggest difference between the GH5 vs the GH4 though is the recording of 6K PHOTO – this means you can pull 18 megapixel stills from the video burst file. Read more about the Panasonic Lumix GH5 at Park Cameras and pre-order yours today! This blog was originally published on 19th September 2016 & was updated on 4th January 2017.